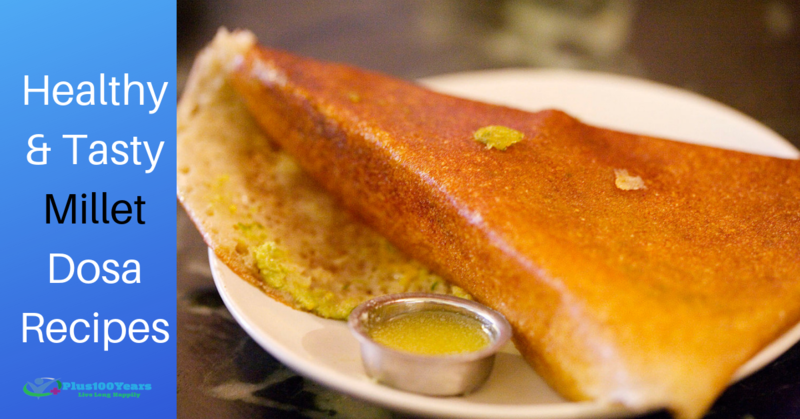 How To Prepare Healthy Millet Dosa Recipes? Millets have been used by mankind since ancient times. Rather, the history of the evolution of humans indicates that millets were the earliest or even the first cereal grains consumed by human beings. Residents of East Asia have been cultivating millets for more than 10,000 years. It is a drought-resistant grain used since prehistoric times and was even more widely eaten than rice in the Korean peninsula and China. Today millets are nothing short of a wonder food with rich protein structure almost similar to wheat. For those who suffer from gluten intolerance, millet powders can be a great substitute for making bread and pancakes. Millets are also rich in calcium, iron, phosphorous and when mixed with grains enhance the nutritional value of any dish. Pearl millet or bajra is popularly used in Indian cuisines. It offers various health benefits as it is rich in fiber, protein, iron, and different minerals like magnesium and calcium. Regular inclusion of bajra can do wonders to your health. Sorghum or Jowar is a traditional grain used for making rotis or flatbreads in India. It is rich in protein, fiber, and iron. Jowar is also known for reducing cholesterol level as it contains component policosanols. Sorghum is also a good option for people with wheat intolerance. Ragi or Finger Millet is a health benefitting substitute for wheat and rice. It is called a powerhouse of nutrition because Finger Millet is rich in amino acids and protein. Ragi is also recommended for kids because it contributes to the development of the brain during growth years. It is also free from gluten and is a good option for people with gluten intolerance. Little millet is popularly used in many traditional dishes of South India. It is loaded with the goodness of minerals like iron, zinc, calcium, potassium, and B-vitamins. Little millet is ideal for those aiming for weight loss as it provides essential nutrients but low calories. It is also high in fiber content and is a healthier option for rice. Foxtail millet is easily available in the form of rice flour and semolina. It has a healthy balance of carbohydrates and is rich in calcium and iron. 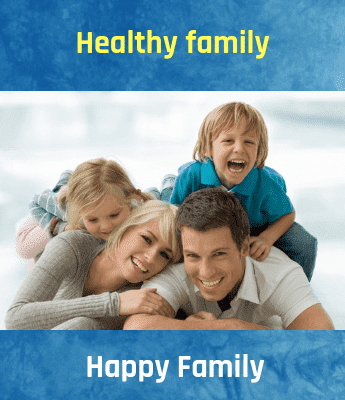 It is also a good option for strengthening immunity. Millets are quite versatile and you can add them in powdered form to any cuisine and add a new twist. Addition of millets to any dish enhances its nutritional level. It also makes you feel satiated early so you end up eating less and lose weight. You can use millets to prepare idlis, upma, dosas, khichdi, biryani, pulav, kheer, and payasam. You can use rice or wheat flour to make rotis or bread. While using millets you must keep in mind that they will take more water than rice for soaking. You can also toast the millets before using them for adding that nutty flavor to the salads or any other dish. Since they are loaded with nutrition, you should not eat them alone. Their nutritional levels are well balanced when used in combination with wheat, rice or lentils. Blend it in the grinder and add fenugreek powder (It is optional). Once a smooth batter has been made, add the pearl millet flour little by little in the blender and run the blender again. Once completely mixed, add salt and mix well again. Pour it in a bowl, cover it with a lid and leave it overnight or at least for 5 to 6 hours for fermentation. Get the dosa batter ready for preparation by adding water to get the right consistency. Now, prepare thin and crispy dosas using the regular procedure. Wash the dal and millet in water and soak along with methi seeds. Keep enough water to cover the dal and millet. Leave it covered for 4 to 6 hours or overnight. Soak the flattened rice in another bowl for 1 hour. Drain the water and blend everything to form a smooth paste. Leave it covered for 18 to 24 hours or until the batter is fermented nicely. Add rice flour, ragi flour, chopped green chilies, and curd together in a bowl. Add salt and water to these ingredients and mix well. Add enough water to ensure that the batter has a consistency similar to buttermilk. Add chopped coriander leaves and onion and mix well. Heat oil in a pan and temper with mustard seeds, cumin seeds, and curry leaves. Pour the tempering over the batter. Mix well and make dosas as usual. Wash Jowar, rice, urad dal, and methi seeds separately with water. Soak jowar for six hours and rice for 4 hours. Soak urad dal and methi seeds separately for 4 hours. Do not soak the above ingredients for a longer period or the batter can turn sour. Drain water and blend methi seeds, salt, and urad dal until the batter looks fluffy and light. Transfer the batter in a bowl. Similarly, blend rice and jowar and add to the above batter. Add enough water to make a moderately thick batter. Leave it overnight or at least for 6 to 8 hours. In the same way, you can prepare dosas from foxtail millet and other different types of millets and enjoy highly nutritious dosas and idlis with coconut or pudina chutneys. The benefits of coconut water include lowering of blood pressure as it is high in potassium content and also contains arginine and magnesium in a moderate amount.